Dr. Amin Anjomshoaa is a computer scientist joining MIT in 2014. 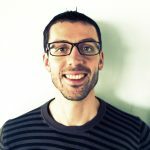 He received his PhD in Computer Science from Vienna University of Technology in 2009, and dual Masters degrees in Software Engineering & Internet Computing and Information Management from Vienna University of Technology in 2005 and 2007, respectively. His research interests include Internet of Things (IoT), knowledge Management, Smart City, Semantic Web & Linked Data, and Building Information Modeling. Dr. Anjomshoaa currently serves at the MIT Senseable City Laboratory as researcher and project lead. He has published over 65 papers in peer-reviewed conferences and journals and has led various projects in Smart City, Knowledge Management, and Environmental Monitoring domains. throughout the city in different areas and times, it is possible to create a networked and mobile approach to environmental sensing. In this talk, the efficiency of mobile sensing approach for spatiotemporal coverage of environmental phenomena will be discussed and it will be shown how mobile sensing can overcome the limitations of stationary and remote sensing approaches. Recent seminal works on human mobility have shown that individuals constantly exploit a small set of repeatedly visited locations. A concurrent study has emphasized the explorative nature of human behaviour, showing that the number of visited places grows steadily over time. How to reconcile these seemingly contradicting facts remains an open question. In this talk, I will discuss the analysis of high-resolution multi-year traces of ~40,000 individuals from 4 datasets and show that this tension vanishes when the long-term evolution of mobility patterns is considered. I will show that mobility patterns evolve significantly yet smoothly, and that the number of familiar locations an individual visits at any point is a conserved quantity with a typical size of ~25. I will discuss how this finding can improve state-of-the-art modelling of human mobility. Furthermore, shifting the attention from aggregated quantities to individual behaviour, I will show that the size of an individual’s set of preferred locations correlates with their number of social interactions. This result suggests a connection between the conserved quantity we identify, which cannot be understood purely on the basis of time constraints, and the ‘Dunbar number’ describing a cognitive upper limit to an individual’s number of social relations. The second part of the talk will be devoted to exploring this relationship further. Taken together, these results call for further research linking the study of human mobility and the cognitive and behavioural sciences. L. Alessandretti, P. Sapiezynski, S. Lehmann and A. Baronchelli . “Evidence for a conserved quantity in human mobility”. Nat. Hum. Behav. 2, 485 (2018). L. Alessandretti, S. Lehmann and A. Baronchelli. “Understanding the interplay between social and spatial behaviour”. EPJ Data Science 7: 36 (2018). Baruch Barzel is a physicist and applied mathematician, director of the Complex Network Dynamics lab at Bar-Ilan University. 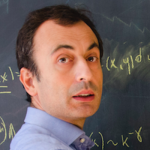 His main research areas are statistical physics, complex systems, nonlinear dynamics and network science. Barzel completed his Ph.D. in physics at the Hebrew University of Jerusalem, Israel as a Hoffman Fellow. He then pursued his postdoctoral training at the Center for Complex Network Research at Northeastern University and at the Channing Division of Network Medicine, Harvard Medical School. Barzel is also an active public lecturer, presenting a weekly corner on Israel National Radio. Dr. Barzel’s research focuses on the dynamic behavior of complex networks, uncovering universal principles that govern the dynamics of diverse systems, such as disease spreading, gene regulatory networks, protein interactions or population dynamics. Resilience, a system’s ability to retain functionality under errors, failures and environmental perturbation, is a defining property of many complex systems. Yet, despite its widespread consequences for human health, the economy and the environment, events leading to loss of resilience – from cascading failures in technological systems to mass extinctions in ecological networks – are rarely predictable and are often irreversible. This lacuna is rooted in a deep theoretical gap: the current analytical framework of resilience is designed to treat low-dimensional models with a few interacting components, overlooking the complex multi-dimensional nature of most real social, biological and technological systems. How then do we predict and influence the resilience of a complex networked system? To achieve this we will expose the natural control parameters of network resilience, providing us with a universal framework to understand, predict and ultimately influence the resilience of complex networks. 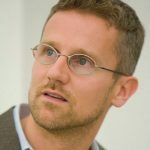 An architect and engineer by training, Professor Carlo Ratti teaches at Massachusetts Institute of Technology, where he directs the Senseable City Lab, and is a founding partner of the international design office Carlo Ratti Associati. He graduated from the Politecnico di Torino and the École Nationale des Ponts et Chaussées in Paris, and later earned his MPhil and PhD at the University of Cambridge, UK. Ratti has co-authored over 500 publications and holds several patents. His work has been exhibited worldwide at venues such as the Venice Biennale, the Design Museum in Barcelona, the Science Museum in London, and The Museum of Modern Art in New York. Two of his projects – the Digital Water Pavilion and the Copenhagen Wheel – have been included by TIME Magazine in the list of the ‘Best Inventions of the Year’. Ratti was a presenter at TED, curator of the Future Food District pavilion for the 2015 World Expo in Milan, and is currently serving as both a member of the World Economic Forum Global Future Council on Cities and special adviser on Urban Innovation to the European Commission. As well as being a regular contributor to Project Syndicate, he has written for international media including The New York Times, Washington Post, Financial Times, Scientific American, BBC, and others. The way we live, work, and play is very different today than it was just a few decades ago, thanks in large part to a network of connectivity that now encompasses most people on the planet. In a similar way, today we are at the beginning of a new technological revolution: the Internet is entering the physical space – the traditional domain of architecture and design – becoming an “Internet of Things” or IoT. As such, it is opening the door to a variety of applications that – in a similar way to what happened with the first wave of the Internet – can encompass many domains: from energy to mobility, from production to citizen participation. The contribution from Prof. Carlo Ratti will address these issues from a critical point of view through projects by the Senseable City Laboratory, a research initiative at the Massachusetts Institute of Technology, and the design office Carlo Ratti Associati. 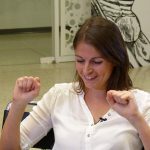 Chiara Poletto is a researcher at the National Institute of Health and Medical Research (INSERM) in Paris (France), working on the spreading of infectious diseases seen as a complex system phenomenon. Epidemics are mediated by human contacts and, on a different scale, by human mobility patterns. Therefore, the role of network structure on infection risk, its persistence and impact on the population is a central question of her research work. Within this broad context, she is dedicating increasing attention to the physics of interacting spreading processes underlying important problems in disease ecology. Poletto received her PhD in Physics from the University of Padova (Italy) in 2009 and was then Post Doc at the Computational Epidemiology Laboratory, ISI Foundation, Torino (Italy), before joining the INSERM in 2012. She received the Junior Scientific Award of the Complex Systems Society for extraordinary scientific achievements. Her studies on emerging pathogens’ epidemics (from Ebola outbreak to Zika) have translated into expert advices for public health decision makers. Mathematical and computational approaches based on network theory and complex system dynamics are becoming increasingly effective in tackling open problems in infectious disease epidemiology. I will review my recent research work in this direction presenting studies on both fundamental problems and specific epidemic events. On the theoretical side, I will show how the structure and dynamics of human-to-human contacts alter the risk of an outbreak. This effect can be captured by the epidemic threshold, the critical transmissibility below which extinction is certain, that quantifies the vulnerability of a population to an infection. In order to compute this indicator we developed the infection propagator approach, where we used the multilayer framework to describe a temporal network and the Markov-chain formalism to solve the spreading dynamics in the critical regime close to the threshold. On the applicative side I will show how health seeking behavior, daily social contacts, and daily mobility patterns affect the initial transmission of an emerging disease and the propagation dynamics of recurrent epidemics at the city and regional level. These understandings were important for the epidemiological assessment of the MERS global dissemination, the recent outbreak of Zika and the seasonal influenza circulation. 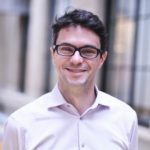 Fábio Duarte is Research Scientist at MIT Senseable City Lab, professor at PUCPR (Brazil), and consultant for the World Bank. Duarte’s most recent book is “Unplugging the city: the urban phenomenon and its sociotechnical controversies” (Routledge, 2018). Abundance of data currently generated in cities is unprecedented. On the one hand, we have the widespread use of information and communications devices, by which people communicate with each other and access third-party web-based services, leaving behind digital traces of their communication patterns, often with timestamps and geolocations. On the other hand, sensors carried by people (such as biometric sensors that measure health conditions and physical activities) or deployed to measure the built and the natural environment, are constantly amassing data about each of these three elements as well as the relations among them. In this presentation, I discuss how these tools can foster urban studies, balancing data-based approaches with a necessary critical view to the inherent social values of cities, based on the work of the MIT Senseable City Lab. Statistique (LPS) of the Ecole Normale Supérieure in Paris. 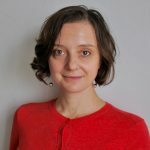 As a postdoctoral researcher, she has been involved in the project Dyxi dealing with Urban Collective Dynamics: Individual and Spatial Heterogeneities. Her research interests focus on the study of socio-economic systems with an approach involving data mining, statistical physics analysis and machine learning. The use of public transportation or simply moving about in streets are gendered issues. Women and girls often engage in multi-purpose, multi-stop trips in order to do household chores, work, and study (‘trip chaining’). Women-headed households are often more prominent in urban settings and they tend to work more in low-paid/informal jobs than men, with limited access to transportation subsidies. In this talk, I will present recent results of a large collaborative project aimed at decoding the complexity of urban mobility from a gendered perspective by uniquely combining a wide range of datasets, including commercial sources of telecom and open data. We explored urban mobility of women and men in the greater metropolitan area of Santiago, Chile, by analyzing the mobility traces extracted from the Call Detail Records (CDRs) of a large cohort of anonymized mobile phone users over a period of 3 months. To investigate gender differences in mobility behavior, we analyze gender disaggregated mobility patterns of users by computing the number of unique locations visited by each user and their associated frequency of visits. We find that, taking into account the differences in users’ calling behaviors, women move less than men, visiting less unique locations and distributing their time less equally among such locations. By mapping gender differences in mobility over the 52 “comunas” of Santiago, we find a higher mobility gap to be correlated with socio-economic indicators, such as a lower average income, and with the lack of public and private transportation options. Such results provide new insights for policymakers to design more gender inclusive transportation plans in the city of Santiago. 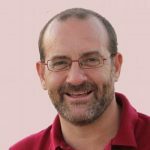 Mario di Bernardo (SMIEEE ’06, FIEEE 2012) is currently Professor of Automatic Control at the University of Naples Federico II, Italy. He is also Honorary Professor at Fudan University, Shanghai in China and Professor (part-time) of Nonlinear Systems and Control at the University of Bristol, UK. In January 2012 he was elevated to the grade of Fellow of the IEEE for his contributions to the analysis, control and applications of nonlinear systems and complex networks. On 28th February 2007 he was bestowed the title of “Cavaliere” of the Order of Merit of the Italian Republic for scientific merits from the President of Italy. In 2009, He was elected President of the Italian Society for Chaos and Complexity for the term 2010-2013. He was re-elected in 2010 for the term 2014-2017. In 2006 and again in 2009 he was elected to the Board of Governors of the IEEE Circuits and Systems Society. From 2011 to 2014 he was Vice President for Financial Activities of the IEEE Circuits and Systems Society. In 2014 he was appointed as a member of the Board of Governors of the IEEE Control Systems Society. He was Distinguished Lecturer of the IEEE Circuits and Systems Society for the two-year term 2016-2017. His research interests include the analysis, synchronization and control of complex network systems; piecewise-smooth dynamical systems; nonlinear dynamics and nonlinear control with applications to engineering and computational biology. He authored or co-authored more than 220 international scientific publications including more than 110 papers in scientific journals, a research monograph and two edited books. According to the international database SCOPUS (March 2018), his h-index is 38 and his publications received over 6000 citations by other authors (h-index = 48, citations = 11422 according to Google Scholar, March 2018). He serves on the Editorial Board of several international scientific journals and conferences. From 1st January 2014 till 31st December 2015 he was Deputy Editor-in-Chief of the IEEE Transactions on Circuits and Systems: Regular Papers. He is Senior Editor of the IEEE Transactions on Control of Network Systems; Associate Editor of Nonlinear Analysis: Hybrid Systems and the IEEE Control Systems Letters, the Conference Editorial Board of the IEEE Control System Society and the European Control Association (EUCA). He was Associate Editor of the IEEE Transactions on Circuits and Sytems I: Regular Papers from 1999 to 2002 and again from 2008 to 2010, and the IEEE Transactions on Circuits and Systems II: Brief papers from 2003 till 2008. He is regularly invited as Plenary Speaker in Italy and abroad. He received funding for over 8M Euros from research councils, the European Union and industry. 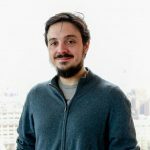 his talk will address the open challenge of designing nonlinear feedback control strategies to tame the collective behaviour of network systems whose complex behaviour emerges from the interaction of many dynamical units. Systems of this type are instrumental to describe the many interacting agents and infrastructures of a Smart City. So, keeping in line with the main theme of this workshop, I will start by discussing some of the stimulating opportunities for nonlinear control in the area of smart cities, then I will focus on some problems that we have been recently addressing that require agents in a complex network to achieve some desired behaviour. The key challenge will be to design distributed nonlinear controllers able to endow agents in the network, relying on local information from their neighbours, with the ability of collectively achieving and maintaining some desired behaviour, despite the presence of uncertainties, disturbances and structural changes in themselves or the environment. Maurizio Porfiri is a Professor in the Department of Mechanical and Aerospace Engineering at New York University Tandon School of Engineering. He received M.Sc. and Ph.D. degrees in Engineering Mechanics from Virginia Tech, in 2000 and 2006; a ‘‘Laurea’’ in Electrical Engineering (with honors) and a Ph.D. in Theoretical and Applied Mechanics from the University of Rome ‘‘La Sapienza’’ and the University of Toulon (dual degree program), in 2001 and 2005, respectively. He is engaged in conducting and supervising research on dynamical systems theory, multiphysics modeling, and underwater robotics. Maurizio Porfiri is the author of more than 275 journal publications and the recipient of the National Science Foundation CAREER award. He has been included in the ‘‘Brilliant 10’’ list of Popular Science and his research featured in major media outlets, including CNN, NPR, Scientific American, and Discovery Channel. Other significant recognitions include invitations to the Frontiers of Engineering Symposium and the Japan-America Frontiers of Engineering Symposium organized by National Academy of Engineering; the Outstanding Young Alumnus award by the college of Engineering of Virginia Tech; the ASME Gary Anderson Early Achievement Award; the ASME DSCD Young Investigator Award; and the ASME C.D. Mote, Jr. Early Career Award. In recent years, we have witnessed rapid growth in citizen science, where the non-professional public engages in various research fields, such as ecology, structural biology, astronomy, and literature. In citizen science, researchers can economize time and effort to achieve scientific objectives by distributing micro-tasks of data collection and analysis to willing volunteers, and at the same time, participants can learn and feel satisfied through contribution to science. However, the success of citizen science projects is often challenged by low engagement and productivity. Toward a systematic exploration of the motivational factors that underpin citizen science and the potential effect of design interventions, we have created Brooklyn Atlantis. Brooklyn Atlantis is a citizen science project for monitoring an environmental health of a highly polluted canal located in an urban area of New York City. The project involves an aquatic monitoring robot that takes pictures during navigation through the canal and an online interface for citizen scientists to analyze the pictures. Over the last five years, we conducted a series of experiments to investigate participants’ behavioral changes by focusing on several, critical, aspects in citizen science, such as type of context, type of devices, social interactions, and reward systems. Our results highlight interesting and counterintuitive relationships among these aspects, ultimately shaping engagement and productivity of volunteers. In a recent endeavor, we are applying our knowledge of citizen science to tele-rehabilitation toward increasing motivation in tedious rehabilitation exercises at home. Overall, our results promise the possibility of engineering motivation in participatory activities toward eliciting desired behavioral changes. Paolo Santi received the “Laurea” degree and the PhD from the University of Pisa, Italy, in 1994 and 2000, respectively. In the period January-June 2001, he visited the School of Electrical and Computer Engineering, Georgia Institute of Technology, Atlanta GA, as a visiting researcher. On September 2001 he joined the Istituto di Informatica e Telematica (IIT) of the Italian National Research Council (CNR). In the period May-December 2003, he visited the Dept. of Computer Science at the Carnegie Mellon University, Pittsburgh, PA, as a visiting scientist. He is/has been Associate Editor of IEEE Transactions on Mobile Computing, IEEE Transactions on Parallel and Distributed Systems, and Computer Networks (Elsevier), and Guest Editor of the Proceedings of the IEEE. Sharing of mobility resources is seen as a way of countering the increasing traffic congestion cities are witnessing. The trend towards a sharing of mobility resources will likely become even stronger with the advent of connected and autonomous vehicles. The evolution towards autonomous and shared mobility opens the big question of how this transformation will impact cities and, ultimately, its citizens. 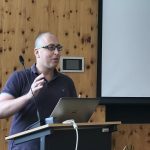 In this talk, I will present a number of recent projects at MIT Senseable City Lab that exploit network science to address the above questions from a number of different perspectives: ride sharing, fleet size minimization and optimal dispatching, and the impact on parking infrastructure. 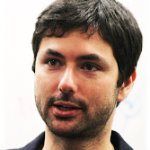 Rossano Schifanella is an Assistant Professor in Computer Science at the University of Turin, Italy, where he is a member of the Applied Research on Computational Complex Systems group. He is a visiting scientist at Nokia Bell Labs and a former visiting scientist at Yahoo Labs and at the Center for Complex Networks and Systems Research at the Indiana University where he was applying computational methods to model the behavior of (groups of) individuals and their interactions on social media platforms. 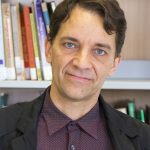 His research embraces the creative energy of a range of disciplines across data mining, network analysis, urban science, computational social science, and data visualization. With the incidence of metabolic conditions raising in urban areas, nutrition in academic and policy circles has attracted new attention. One issue is that nutrition studies have been relying on data that is often noisy and of limited scale and, unsurprisingly, this has led to contradictory results. To partly fix that, scientists have resorted to Web data to infer what people eat and how that relates to their health. This talk explores fine-grained associations between food purchases and health outcomes in London. We focus on the incidence of lifestyle diseases, e.g., type 2 diabetes, cholesterol, and hypertension, modeled using the log of all medical prescriptions written by UK general practitioners. The relation between food habits and health conditions is analyzed along the dimensions of space and time, detailing how different stakeholders – from food companies to local communities – could help with prevention strategies.